Among the online streaming options available today, Netflix and Hulu are two of the most popular, but the focus of their content library is quite different. Netflix offers the widest selection of movies and thousands of older TV shows, while Hulu Plus offers a larger collection of current-season TV shows and a smaller selection of movies. One disadvantage with Hulu Plus is ads; Netflix offers an ad-free experience. Both services are $7.99 per month, and both have apps available on a wide variety of devices, including smart TVs and video game consoles like the Xbox. Video on demand; primarily TV shows, including current season shows. Video on demand, online DVD and Blu-ray disc rental; primarily movies and older TV shows. Hulu Plus is $7.99 per month or $11.99 per month without ads; basic service is free but not all shows are available with the basic service and it does not work on smartphones and tablets. Monthly: $8 to stream on 1 screen at a time in standard definition; $9 for streaming on 2 screens simultaneously in HD; $12 to stream on 4 screens simultaneously. Additional $8/month for DVD-by-mail service and an extra $2/month for Blu-ray discs. 288p, 360p, 480p and sometimes 720p HD. Tier 1: DVD Quality (1.5Mbit/s connection needed), Tier 2 (Better than DVD Quality 3Mbit/s needed) Tier 3: 720p (5Mbit/s needed). Tier 4: 1080p HD has been introduced. Many titles; mostly subbed. Few anime titles; mostly dubbed. Current season TV shows are generally available; availability of new movies is slow. Current season TV series episodes are generally not available. Availability of new movies is slow. Hulu offers some movies but is primarily known for TV shows, including related clips, trailers and interviews. The service is unique in that it is able to release episodes quickly, often within a day of the original airing, and features shows from networks including NBC, ABC, Fox, ION Television, USA Network, Brave, Syfy, E!, A&E, and Oxygen. Hulu has created over a dozen original series, such as A Day in the Life, Battleground, Spoilers and Up to Speed, and has scheduled several more for production in 2015 and 2016. “Hulu Plus carries current season episodes for 5 of the top 6 US broadcast networks, which is something that Netflix is only able to do for a select few shows in international markets,” [Morgan Stanley lead analyst Scott] Devitt says, noting that parent companies ABC, NBC and Fox have made huge amounts of their content available on Hulu, which currently boasts a TV catalog of 86,000 episodes from 2,900 TV series. In other words: Netflix may be great for binge watchers, but cord-cutters looking for next-day viewing of their favorite shows are likelier to go to Hulu Plus. The advantage of Netflix is in the depth of its library, which features more TV shows and films, especially for children, than Hulu. However, Hulu often has current episodes of popular TV programs within a day or two of their initial broadcast, while Netflix may not have episodes for up to a year or longer, depending on the deals Netflix is able to make with media production companies. Netflix launched its own original and exclusive programming to help combat this, reviving shows like Arrested Development and introducing other shows like House of Cards and Orange Is the New Black, all of which have been more successful than Hulu's original series. Hulu has not stated the size of its library, but it is estimated that it has more than 43,000 TV episodes from 1,650 shows, and over 2,500 films. Netflix has over 100,000 titles in its library. This counts individual episodes of TV shows. Netflix does not publicize the size of its content library because, the company says, it changes as title availabilities expire or new ones become available. Hulu offers some international TV shows, typically from the UK and Canada. It also has Korean drama like Boys Before Flowers. Netflix does offer a variety of foreign films and foreign TV series. Some of the most popular are the Norwegian drama Lilyhammer and the acclaimed British shows Downton Abbey and Being Human. The Hulu website is incompatible with Apple products, such as iPads, because it uses Flash. 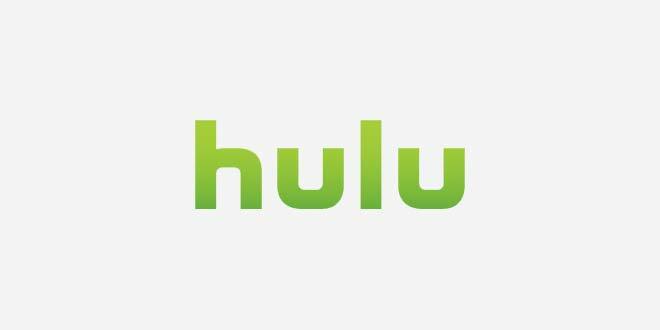 However, Hulu Plus members can use watch on many platforms, including Apple TV, iPad, Blu-ray players, TiVo, iOS and Android smartphones, Wii, Nintendo 3DS, PlayStation 3, and Xbox 360. A Hulu Plus app is available on iTunes for Apple users and bypasses the website's use of Flash (favoring instead HTML5 video, which is compatible). Netflix apps are also available on all these platforms and others, such as Roku, Windows phone, and Google's Chromecast. See here for devices supported by Hulu and here for devices supported by Netflix (Super HD). As of November 2014, nearly all of the content on Netflix has subtitles. The company aims to reach 100% by the first quarter of 2015. Closed captioning is also available for most of Hulu's TV show content, especially all the recent- and current-season episodes. Hulu is only available in the US and in Japan. Netflix is available in the US, Canada, Mexico, the Caribbean, South America, the United Kingdom, Ireland, and most Western European countries (excluding Iceland), a total of 41 countries. However, not all the content is available for viewing in every country, as restrictions vary depending on the region. As of June 2014, Hulu Plus has about 8.5 million subscribers and Netflix has over 50 million subscribers worldwide. 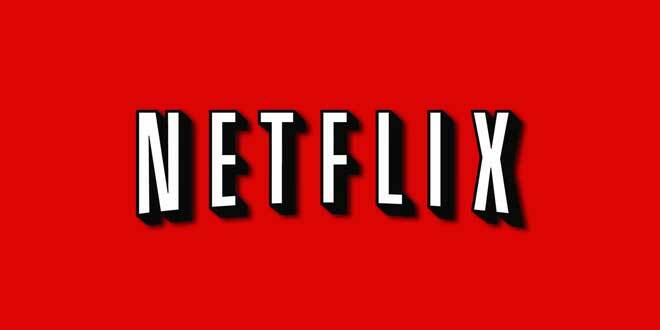 In November 2014, it was confirmed that Netflix will be available in Australia and New Zealand in March 2015. Basic use of Hulu is free; the service is supported by ads. Hulu Plus costs $7.99 per month. Hulu Plus offers access to more content and apps to view content on smartphones and tablets via Hulu's apps for iOS and Android. A disadvantage of Hulu Plus is that this premium service is also ad-supported. TV shows on Hulu Plus are interrupted with ads; movies are not. Hulu Plus does not allow streaming on more than one screen at a time. Netflix costs $7.99 per month for unlimited instant streaming on its basic plan, which allows for streaming on one screen at a time, and in standard definition. The $8.99 a month plan lets a subscriber stream on 2 screens simultaneously and upgrades to HD streaming. To stream on as many as 4 screens simultaneously, one must subscribe to the $11.99/month plan. There are no ads on Netflix. Netflix also offers a DVD-by-mail subscription service with various monthly plans. The bottom line is that for movie fans, Netflix is a better option and if a person likes to stay current on all the latest TV shows, Hulu Plus is a better option. Of course, when comparing with cable, it is cheaper to get both Hulu Plus and Netflix ($16 per month compared with cable TV, which typically runs from $30 - $120 per month).